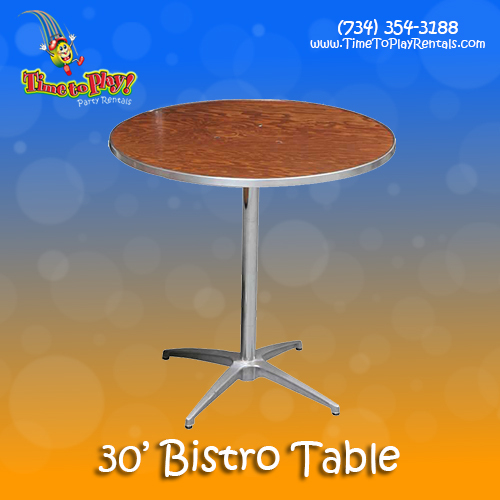 Our 30" Bistro Tables are handy, hard-working additions to your event! Made from durable 15mm plywood, sealed with stain and polyurethane, our 30” Bistro Tables are as beautiful as they are functional. At a standard table height (30”), these bistro tables offer more uses than imaginable, including "gathering” tables for guests, wedding sweetheart tables, dessert presentations, hors d’oeuvres, and many more! Don’t forget your linens!